We all know that vaccines save lives by preventing diseases. But a new study from Australia provides some solid evidence that the rotavirus vaccine not only protects children against the deadly rotavirus infection but also against type 1 diabetes. No. Sugar is not linked directly to diabetes, so sure go ahead, eat that delicious, rich, sweet chocolate birthday cake. However (see Note 2), there might be some very indirect links between eating too much sugar and diabetes, but not as a result of eating sugar alone. A clinical trial that examined the potential of the bacillus Calmette-Guerin vaccine, or BCG vaccine, to reverse even advanced type 1 diabetes mellitus was recently published in a Nature journal. 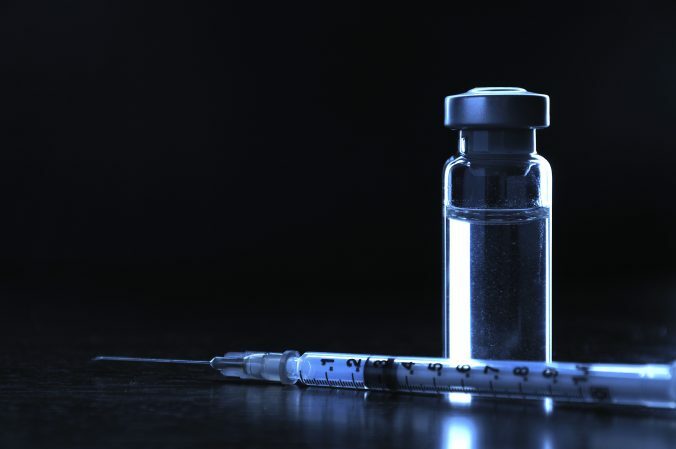 In addition, researchers proposed a possible mechanism describing how the BCG vaccine may enhance the immune system and could stop and reverse the damage that leads to diabetes. But does this constitute evidence that this vaccine can really reverse type 1 diabetes? Spoiler alert – I’m not fully convinced, but my interest is piqued. The BCG vaccine was initially developed to prevent tuberculosis. It is one of the oldest vaccines available on the market, first used in 1921 (pdf). With the successful eradication of tuberculosis in many countries, the vaccine isn’t used very much anymore, except in countries with endemic tuberculosis. Now, for something completely different. I had to break the streak of vaccine articles, especially since I am interested in all parts of science denial – evolution, GMOs, climate change, and, of course, vaccines. But today, we’re going to focus on diabetes myths. Why, well my academic field of study was focused on insulin and insulin-like growth factors effects on aging – and I continued to keep up with the literature on insulin and diabetes ever since then. Cinnamon for diabetes – myth or science? People frequently want the easy way to correct their health issues. They want to imbue a magical quality to “natural” products to make themselves healthier. They don’t want to take one of those evil Big Pharma drugs. For example, over the past few years, Big Supplement has pushed a belief that cinnamon for diabetes is a great treatment. But really, do these supplements actually do all that much? Well, the real scientific evidence gives little support to the health benefits of these various supplements. I’ve probably written over 50 articles on supplements, and maybe one supplement has any value in health. Look at cancer prevention. There really are only a handful of ways to prevent cancer, and none of them include megadoses (or even single doses) of supplements. We probably see a million advertisements for supplements and “natural” foods that make you thinner, healthier, smarter, stronger, better. Of course, if even 1% of the claims (or outright fabrications) made by these hawkers were supported by real science, we could close down Big Pharma and all those physicians hawking those evil drugs that aren’t necessary. Except, we know that’s not true. And it’s time to look at the claims of cinnamon for diabetes – what is the real science. BCG vaccine – can it reverse type 1 diabetes mellitus? Initial results from a clinical trial that is testing the ability of the bacillus Calmette-Guerin, or BCG vaccine, to reverse even advanced type 1 diabetes mellitus. In addition, researchers seem to have identified how the vaccine enhances the immune system, stopping and reversing the damage that leads to diabetes. The BCG vaccine was developed to prevent tuberculosis. It is one of the oldest vaccines available on the market, first used in 1921 (pdf). With the successful eradication of tuberculosis in many countries, the vaccine isn’t used very much anymore, except in countries with endemic tuberculosis. Although the results are very preliminary, the BCG vaccine may very well lead to an effective “cure” for type 1 diabetes. This will be an exciting development for what is now considered to be an incurable disease. If you cruise around the internet, engaging with the antivaccination cult (not recommended), you will pick up on their standard tropes, lies, and other anti-science commentaries. One that has always bothered me, not because that it was a lie, but because I had enough evidence floating in my brain that I was wondering if it were true–that vaccines cause diabetes, especially the Type 1 version. A lot of the vaccine deniers believe that vaccines cause a lot of everything and several claims that vaccines cause Type 1 diabetes (or here), based on little evidence. As far as I can tell, this myth is based on the “research” from J. Barthelow Classen, M.D., who has pushed the idea that vaccines cause type 1 diabetes, through some magical process that has never been supported by other independent evidence. Moreover, Classen seems to come to his beliefs based on population-wide correlations that rely on post hoc fallacies, rather than actually showing causality between vaccines and diabetes. It’s like finding that a 5% increase in consumption of Big Macs is correlated with Republican wins in elections. They may happen at the same time, but it would take a laughable series events to show any relationship. High fructose corn syrup causes diabetes – what is the evidence? The internet claims that high fructose corn syrup causes diabetes and a bunch of other maladies. Usually based on some weak evidence, the usual suspects have tried to link high fructose corn syrup (HFCS) to Type 2 diabetes. The low gluten diet craze has got to be one of the most frustrating fads that have hit the developed world in the last few decades. Without real evidence that gluten affects anyone but the tiny percentage with a genuine, diagnosed gluten sensitivity, pseudoscience supporters are pushing a low gluten diet to treat any number of issues. The only benefit of the low gluten diet is that today a lot of products are labeled “gluten free.” Thus, the few individuals who have real gluten sensitivity have an easier time shopping for safe foods.